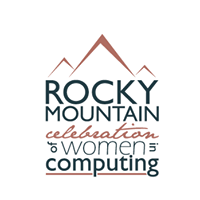 The FreeBSD Foundation is pleased to participate in the 2018 Rocky Mountain Celebration of Women in Computing, an ACM Celebration Event. The event will be held November 1 and 2 in Lakewood, Colorado, and provides a venue for current and future computing professionals to gain confidence in their skills, network with each other, and learn from accomplished technical attendees. In addition to renowned keynote speakers, the conference will feature two main tracks: a track aimed at undergraduate, graduate, and continuing education students, and a track designed for industry professionals. There will also be a shorter track for high school students on Thursday afternoon and evening. Foundation Executive Director, Deb Goodkin will be presenting a lighting talk on Why You Should Contribute to FreeBSD and holding a workshop on Getting Started with FreeBSD.